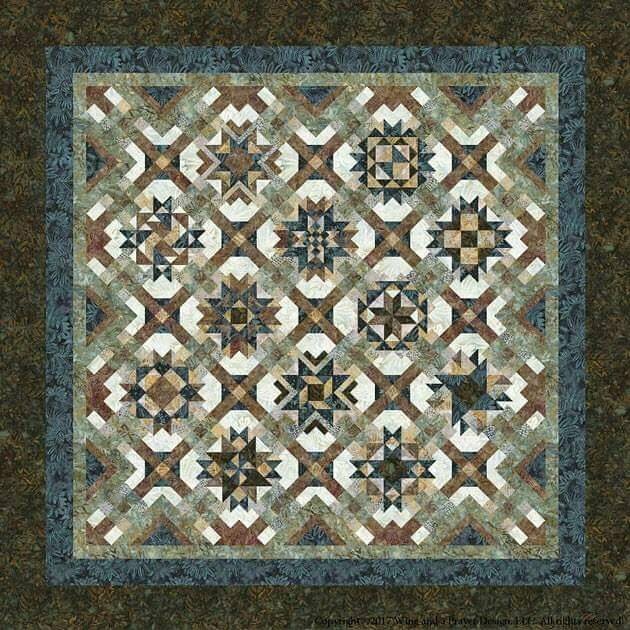 Home > Kits > Queen & King Quilt Kits > Mineral Matrix Quilt Kit with Pattern 104" x 104"
Contains the Mineral Matrix Pattern by Wing and A Prayer Designs plus the fabric for the top and binding! Finished Size 104" x 104". You will also need your backing. 44/45" wide: 9 yards or 108" wide: 3 yards. WE ARE IN OUR FINAL QUANTITIES OF THIS KIT. THE FABRIC IS NO LONGER AVAILABLE.